Where is the water coming from? Aren't we in a drought? Thanks to TRWD's efforts, we have the only urban river section in the state that our community can jump in and enjoy. Because we are in a drought we will borrow water from the Trinity River for the event then return the water back to the river for the benefit of our community and customers. What's the deal with the giant slip-n-slide? The slide is run by Slide the City. Tickets for the slide are sold out but that doesn't mean you have to miss all the fun. Come to the free festival, PantherFest, surrounding the slide and watch sliders while enjoying local craft beer, food, and musicians! How much does a ticket for the slide cost? Admission to PantherFest is free and you don't need a ticket to attend. Tickets for the slide have sold out. Do I need to bring my own tube if I bought a ticket to the slide? If you bought a single slide ticket you'll need to bring your own tube or purchase one on site. If you purchased a triple slide or VIP pass your tubes will be provided for you on site. What food and drinks will be for sale? 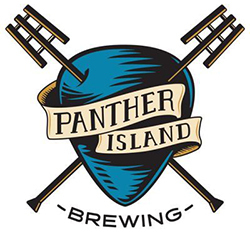 You can purchase delicious brews from Panther Island Brewing, Rahr and Martin House. You can chow down on food from Reata, Flying Fish, Buttons, Mexican Inn, Salsa Limon, Chadra Mezza and more. YES! PantherFest will have something for everyone! Bring the whole family and let the kids enjoy the free bounce house and obstacle course. Absolutely! Leashed pets are more than welcome at PantherFest but they will not be allowed on the slide. Since North Main Street will be closed for the slide you'll need to plan your route ahead of time. There is only one vehicular entrance located at the North Gate which is accessible for south-bound traffic on North Main Street. All parking is $5 per car and don't forget to bring cash as no credit cards or checks will be taken for parking fees. 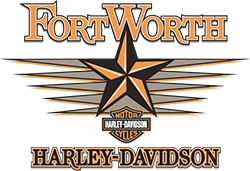 If you plan to walk to the festival you can enter at the South Gate behind the Tarrant County Courthouse and enter the festival at the top of the slide. Is the slide sold out? YES! But don't worry, entrance into PantherFest is FREE so come enjoy cold local brews, delicious food and awesome music!